Canine transmissible venereal tumor (CTVT) is frequently reported in dogs and is responsible for high morbidity rates and economic losses. Three clinical cases were presented at the clinic of the Faculty of Veterinary Medicine, University of Tripoli. One male and two female German shepherds were diagnosed with CTVT based on case history and tumor shape. The diagnosis was confirmed by histopathological examination. The dogs were treated with vincristine intravenously at a dose of 0.025 mg/kg and recovered fully within 4 weeks. All three dogs remained alive with no evidence of recurrence. These first cases of CTVT reported from Libya show the importance of combining case history, clinical examination and laboratory confirmation to arrive at a definitive diagnosis and implement effective therapy. Keywords: Dogs, Oncology, Transmissible venereal tumor, Vincristine. Hiblu, M.A., Khabuli, N.M. and Gaja, A.O. 2019. 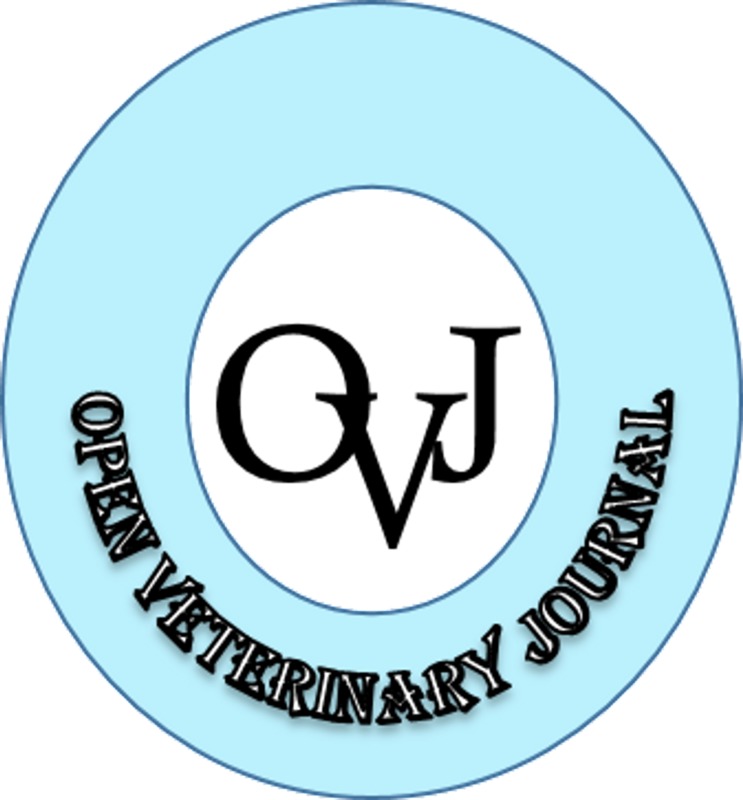 Canine transmissible venereal tumor: first report of three clinical cases from Tripoli, Libya. Open Vet. J. 9(2), 103-105.